At the AUSTAL Shipbuilding facility in Henderson. 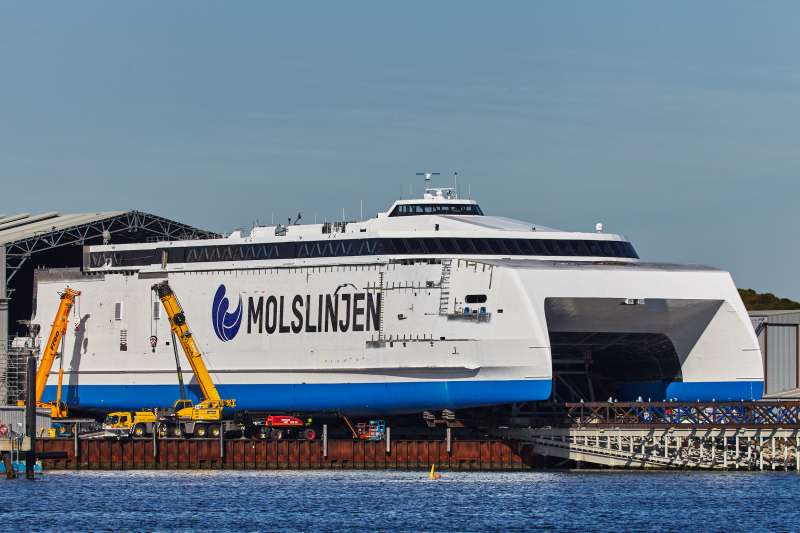 (RoPax) ferry for Mols Linien A/S. Another big cat for Mols Line, thank you! This photo has been shown 2,059 times since it was added to the site.